La Gardo Tackett for Architecural Pottery / Vessel and stamped accordingly on the interior of the pot. 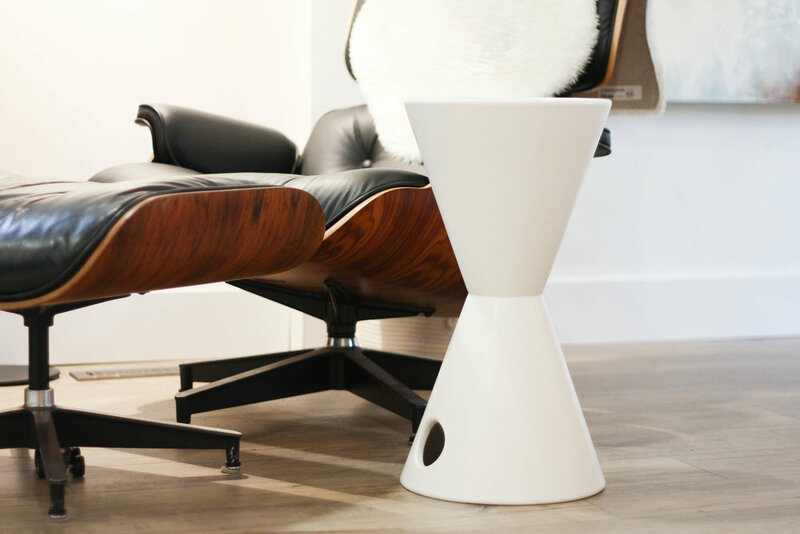 The TH-2 is personally one of our favorite Tackett pots with the hourglass form and the playful circle cutouts on the bottom. Matte white glaze finish is in excellent shape. It’s not just a planter, but a piece of art and eye candy for your space.